What's LeBron doing this summer? What’s the Brooklyn pick worth? Does trading Kevin Love make sense? No NBA team faces more questions than the Cavs ahead of the trade deadline. Welcome back. Yep, we’ve been here before. Few teams in all of pro sports have had as polarizing a run as the Cavs on LeBron James’s second tour, and as such, the yearly ritual of hyper-analyzing exactly what Cleveland needs to do in a title-or-bust world has begun. The stakes are undeniably higher this time around, given James can opt out of his contract after the season. And with the Cavs opening the 2018 calendar year in a bit of a freefall (they blew a big lead and eked out a one-point win over the Magic on Thursday), plus news leaking that the players think the team isn’t good enough, and the trade deadline less than a month away thanks to the NBA’s schedule alterations, that means we’ve entered prime speculation time. Without further ado, here are the 10 biggest questions the Cavaliers face ahead of the trade deadline (Feb. 8). 1. What’s LeBron going to do this summer? There’s no way around it: James’ Decision 3.0 has been hanging over every major Cavaliers decision for some time. This is probably a bad first question to ask, because it’s one nobody has a real answer for. But it’s still the impetus for whatever the Cavs’ brass, headed by first-year GM Koby Altman, decides to do over the next few weeks. If there’s a move that can help persuade LeBron to stay put, they have to consider it. 2. What kind of trade would actually help LeBron want to stay? There are a couple of ways to look at this. Cleveland can try and improve their current team for the now, which will involve some contract matching and most likely the mortgaging of some future value, with the team’s coveted 2018 Brooklyn first-round pick likely the only asset that could fetch anything of significance. 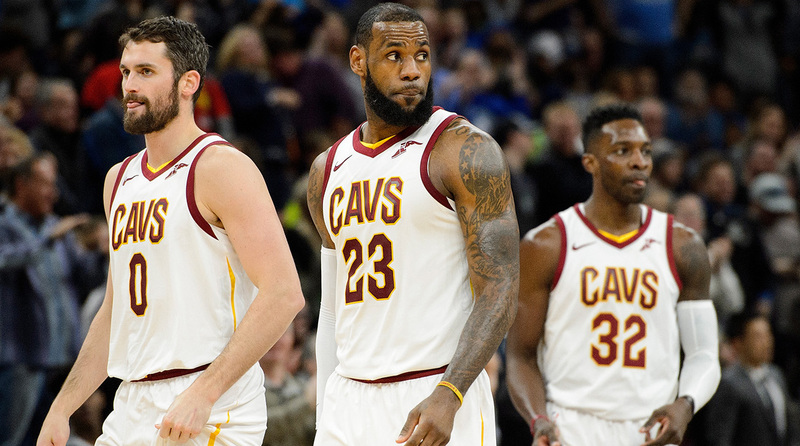 If the Cavs really want to try and change the fabric of their team, they’ll probably have to find a taker for Kevin Love or Tristan Thompson. 3. What’s Cleveland’s cap situation like? They’re handcuffed. As it stands, the Cavs are nearly $35 million over the cap, nearly $15 million into the luxury tax and due massive additional payments. They could stand to cut payroll, but they can’t fully justify a salary-shedding deal if it would send the wrong message to James (assuming the priority is keeping him). Cleveland has essentially no wiggle room when making the money match, so in any trade, they’re forced to make the math work. Teams know LeBron’s future is up in the air, and so the Cavs may not end up with a ton of leverage. It’s likely that any move of substance will have to also involve the Brooklyn pick. It only gets trickier from here. Cleveland is paying Dwyane Wade, Derrick Rose, Jeff Green and Jose Calderon for one year on the veteran’s minimum. Channing Frye’s deal will come off the books, but the Cavs will still have to make the best possible offer to James, as well as figure out what to give Isaiah Thomas (they will have his Bird rights). They’re locked into Love, Thompson and J.R. Smith for two more seasons. And barring a miraculous cap-clearing deal, they’re staring down another season in the tax. 4. What’s the Brooklyn pick worth? A lot, particularly if you’re the Cavs. Right now the Nets are tied for the league’s seventh-worst record but have just three more wins than each of the three teams at the very bottom (the Hawks, Magic and Kings). Plenty can happen over the course of the second half, but Brooklyn’s shot at a top-five draft pick is very real. There are five or six strong prospects likely to be available atop the draft, and this pick (acquired from Boston in the Kyrie Irving trade) is really Cleveland’s best long-term asset. Moving it would signal that for better or worse, the Cavs are all in for this year. 5. Does trading Kevin Love make sense? Love is under contract through 2019–20 (he has a team option for that season) and despite being one of the league’s best floor-spacing bigs, is often blamed for Cleveland’s defensive issues. Love has worked himself into great shape and is enjoying another strong season at age 29. If you can move Love to add another star player who brings a key stylistic dimension to the roster (for example, Love was nearly dealt for Paul George last year), maybe you pull the trigger. Then again, if you trade Love and LeBron still walks, you’d better feel secure about the return. The elite level of floor spacing Love provides at his size is still pivotal for the Cavs’ LeBron-centric style, and it’s also difficult to envision a Love deal that creates enough of a fix to change the eventual outcome this year’s playoffs. Keeping him around at least through the end of the season makes sense. 6. What about Isaiah Thomas? The Cavaliers are entering a tricky spot with Thomas entering a contract year, about to turn 29 and never having been paid anything near max money. It’s a conundrum the Celtics were undoubtedly happy to be rid of. How confidently can you offer the max to a small guard who regularly takes a beating and is still working back from an injury? Even if James leaves, can you commit to a core of Thomas, Love and whoever you draft with the Nets’ pick? Thomas hasn’t yet found his fit in Cleveland, and given the timeframe the team is working with, trading him might make sense. The problem is he’s only making $6.2 million this season, coming off the hip issues and about to be a free agent. The defensive issues he creates when on the floor transcend most any situation you put him in. With all those questions, it’s hard to imagine there’s much of a trade market for Thomas, as dangerous a scorer as he is. 7. Would anyone take Tristan Thompson? Thompson is owed about $36 million over the next two seasons, but he’s still only 26 and one of the league’s better energy bigs when used correctly. He’s been relegated to a lesser bench role on this Cavs team due to the presence of Jae Crowder. In any deal involving a big man, it’s pretty fair to guess Thompson could be on the move, but Cleveland would have to incentivize someone to take him while also getting a desirable (meaning the Nets pick will probably become an ask). Remember how good Thompson can be at his best, and also that we’ve never seen really him outside of the Cavs’ team context, but also remember his limitations. He’s a chip, but not a huge one. 8. Is there a trade that can actually make the Cavs better? Most of the impact players available are bigs. 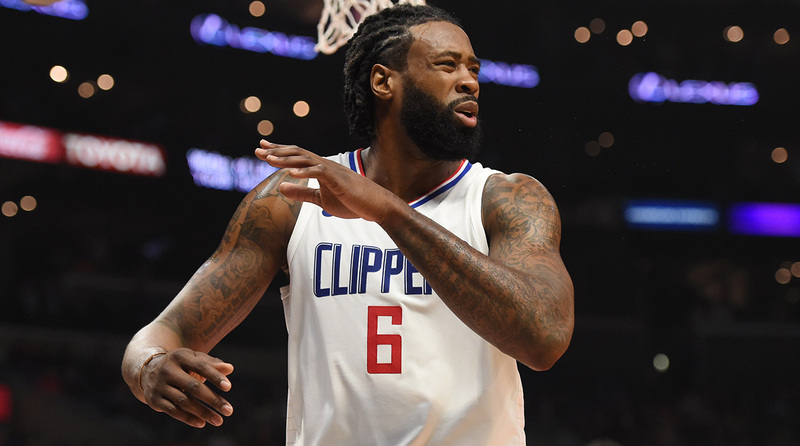 DeAndre Jordan and Marc Gasol seem to be attainable. There are rumors about Kemba Walker, Nikola Mirotic and basically anyone on the Magic. But it’s not an especially starry market right now, and given the Cavs’ bare cupboard, you have to think the Nets pick has to move in conjunction with multiple players to make a major change. 9. What about staying put? Doubling down on the current roster would be ballsy, but it seems like there’s a degree of internal consternation and that some level of change is required. The Cavs need to keep it moving to send the right message. Can they win the East as constituted? Quite possibly, and there’s a belief around the league that Cleveland will always find a way to figure it out, because they have LeBron and because they usually do. Except, the East isn’t the only puzzle they have to navigate. 10. Does any of this even matter? Maybe not, because if the goal is winning a title (and rest assured, it is), the Warriors are still the gatekeepers. The Cavs know their enemies intimately and know they’ll require the exact right circumstances to dispatch them in seven games. They need to give LeBron the best possible chance to win another title or risk him moving on. No matter what they do, LeBron can still bolt. Anything short of a handshake commitment from him means Cleveland is flying blind on some level. And the prospect of matching up with Golden State again still looms over everything. If all these answers sound a little depressing … it’s because they are.